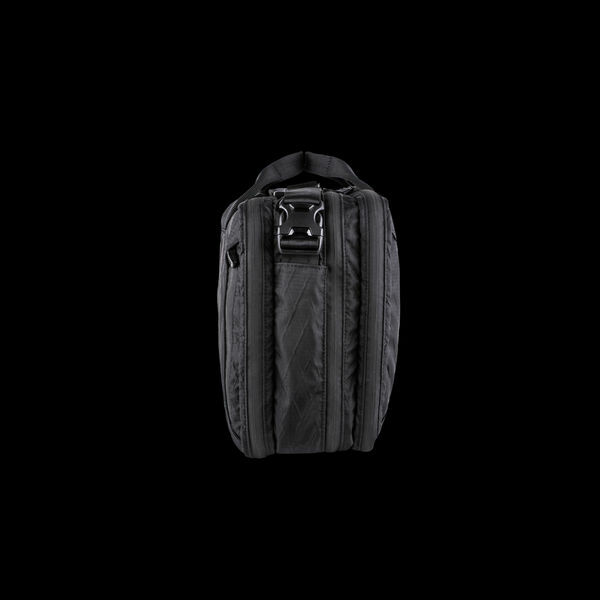 Elegant and discreet. 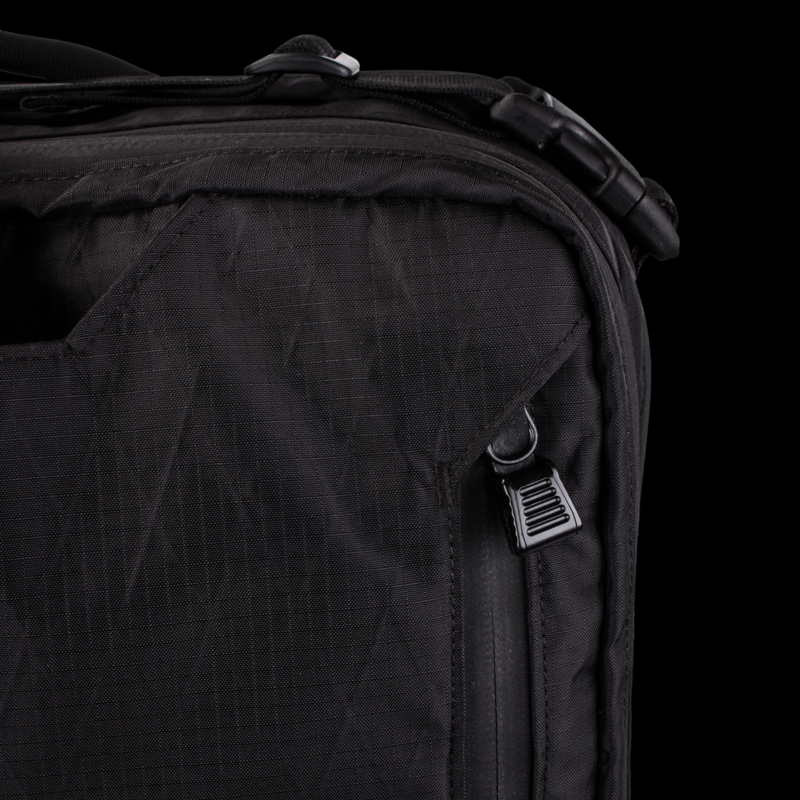 Precision engineering, advanced materials, and durable construction. 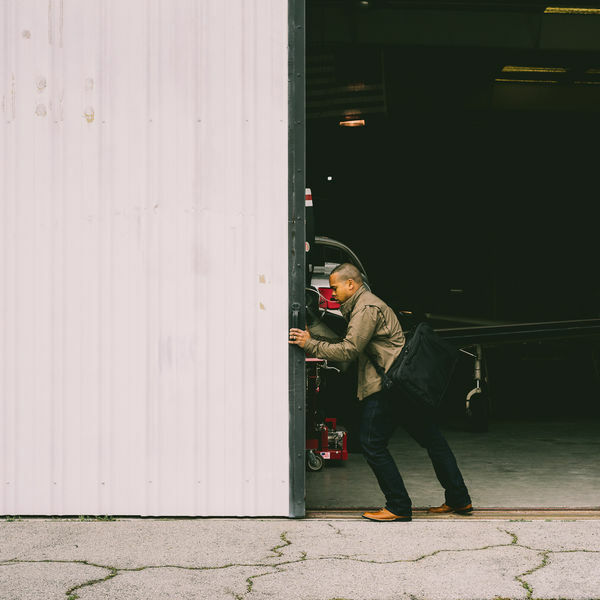 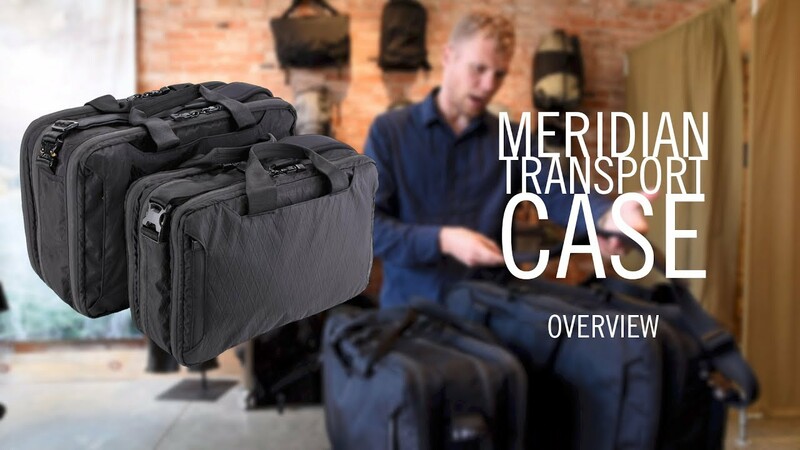 The Meridian Transport Case will forever raise the expectations you place on your carry system, whatever your latitude. 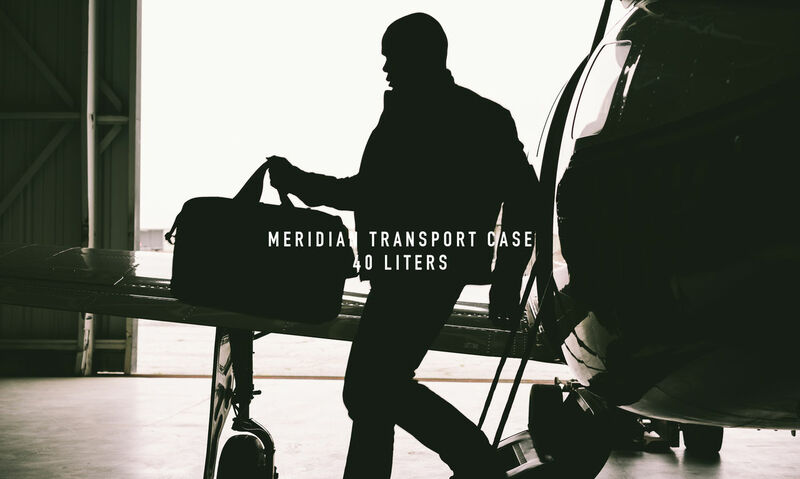 Heightened organization with immediate accessibility is provided by multiple compartments and the Meridian's integrated Helix (HX) attachment system. 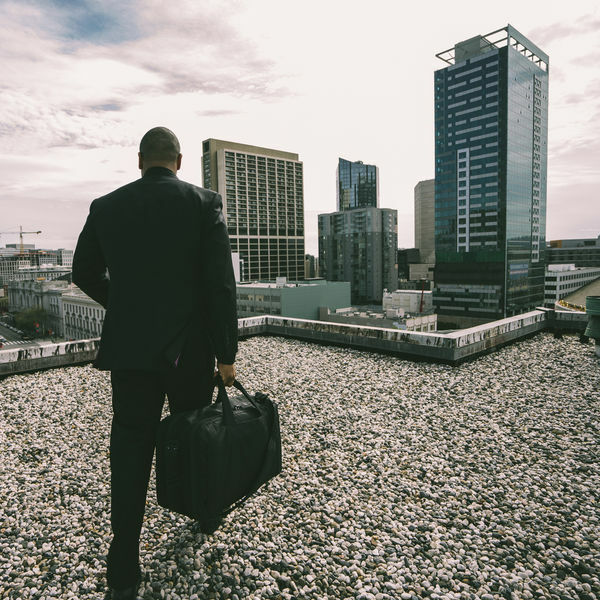 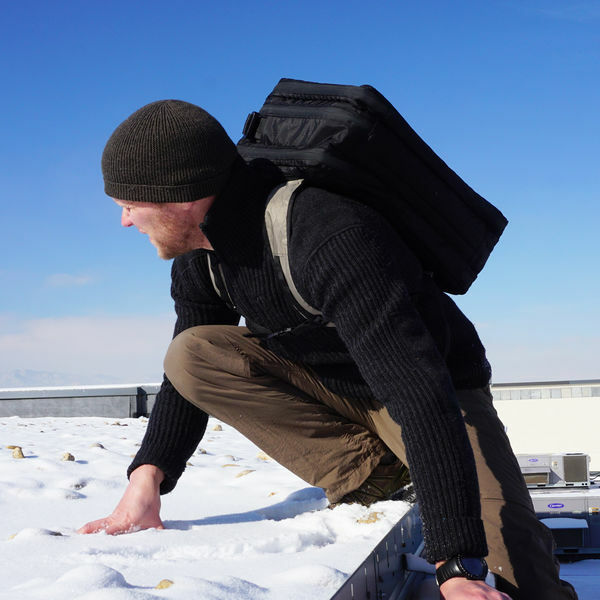 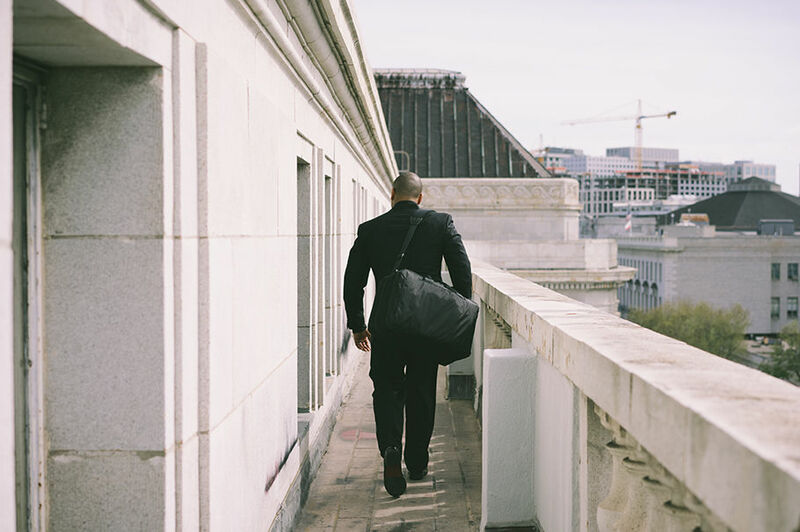 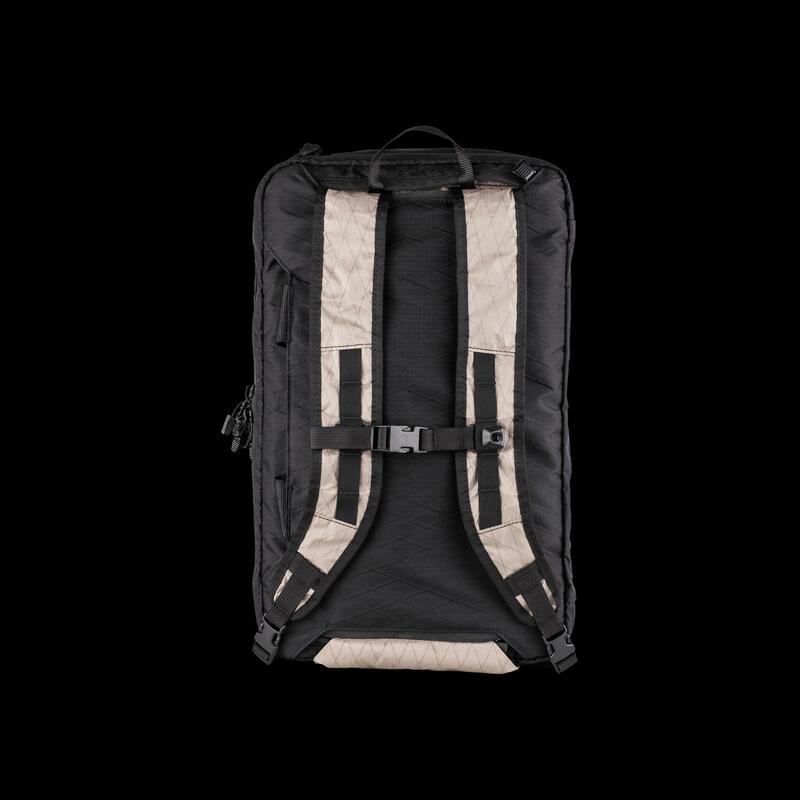 Diverse methods of carry are supported by the Meridian's rugged carry handles, exceptionally comfortable shoulder strap, and rapidly deployable backpack strap system. 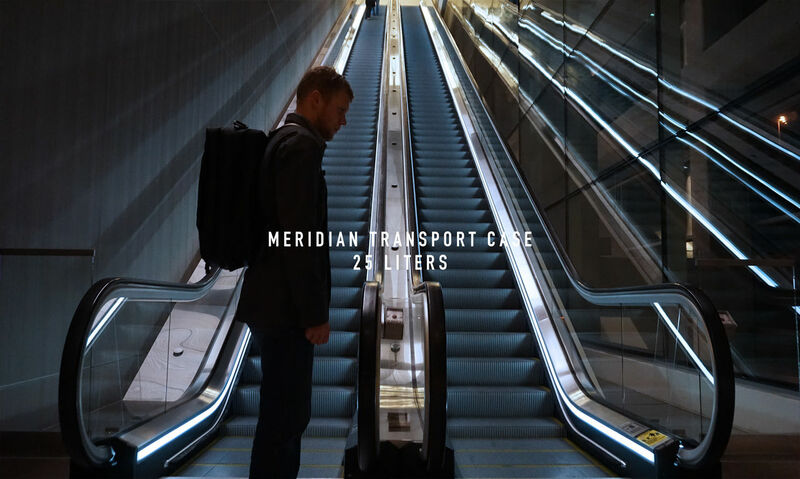 Architected from the ground up as an adaptable platform to live and work out of, Meridian offers you unprecedented control and flexibility. 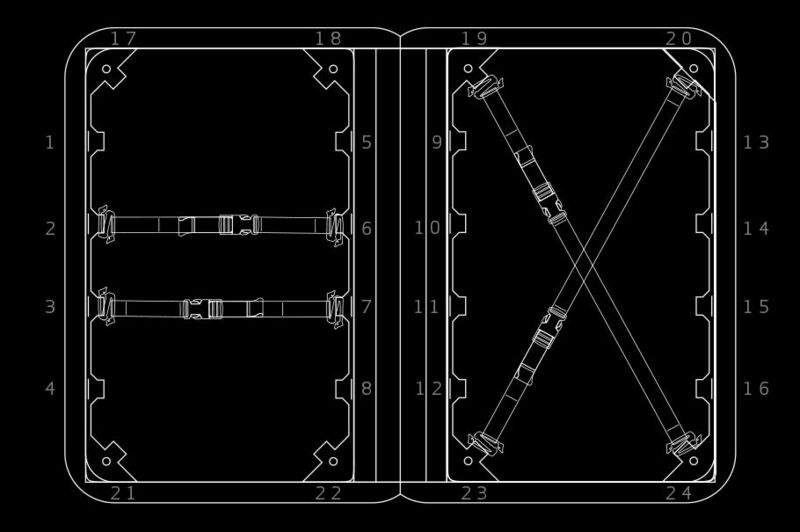 Three clamshell-style primary compartments lay flat when open and feature our Helix attachment system, allowing you to securely mount Transport Cubes, Transport Sleeves, Control Panels, compression straps, and other accessories. 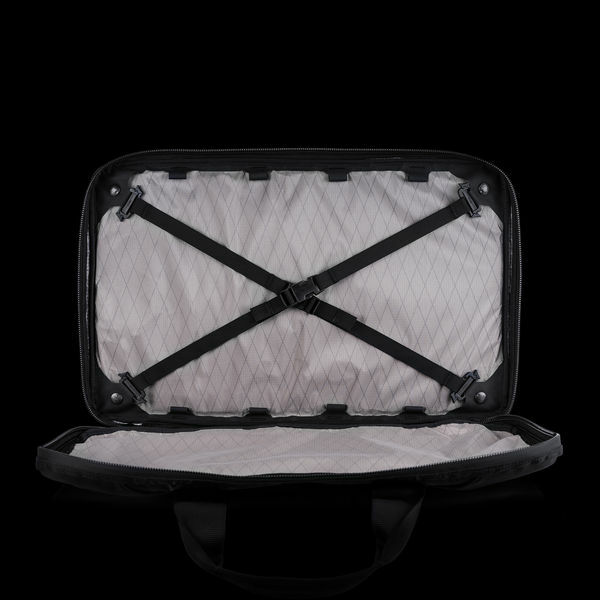 The center compartment is protected by resilient padding on the sides and bottom, and fully supported by strong tubular webbing. 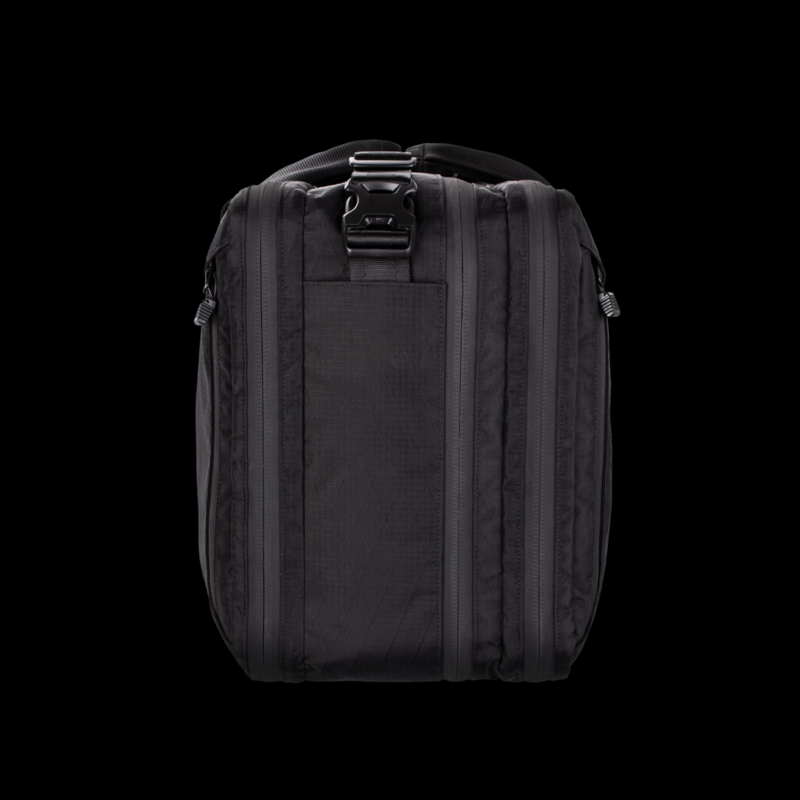 Two open-top exterior pockets provide immediately accessible storage. 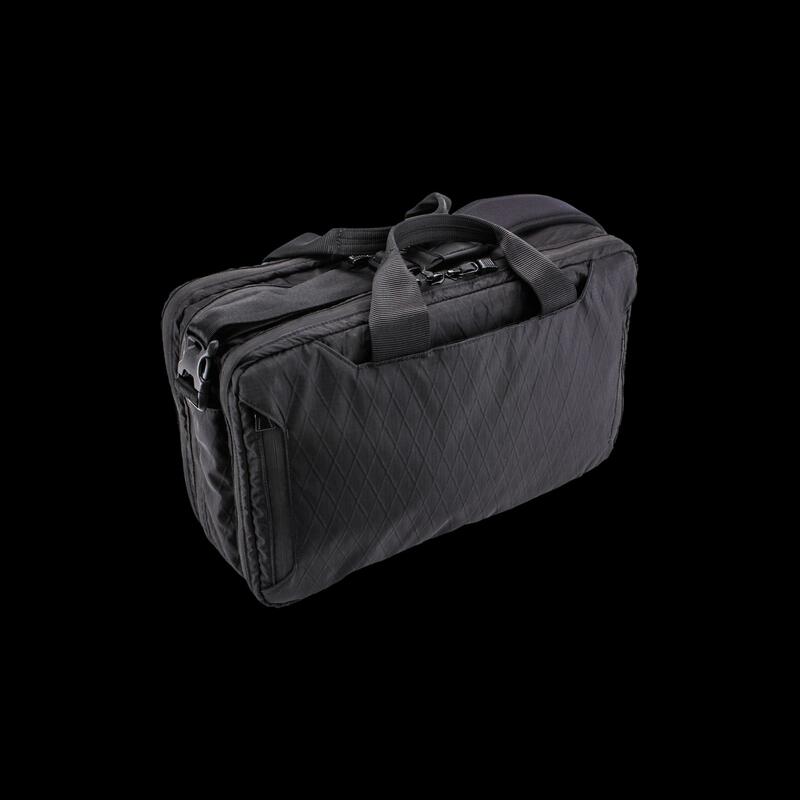 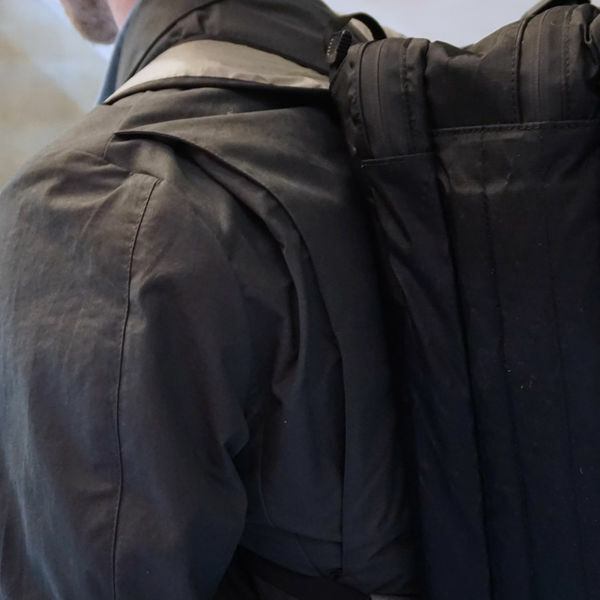 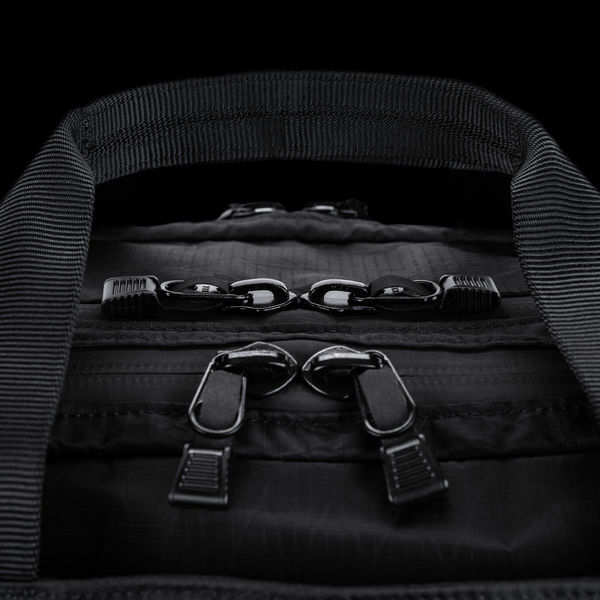 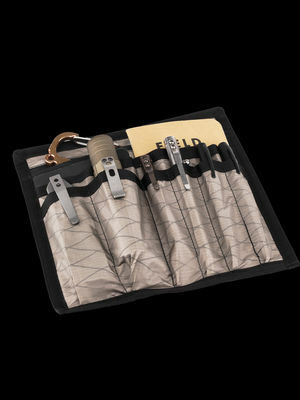 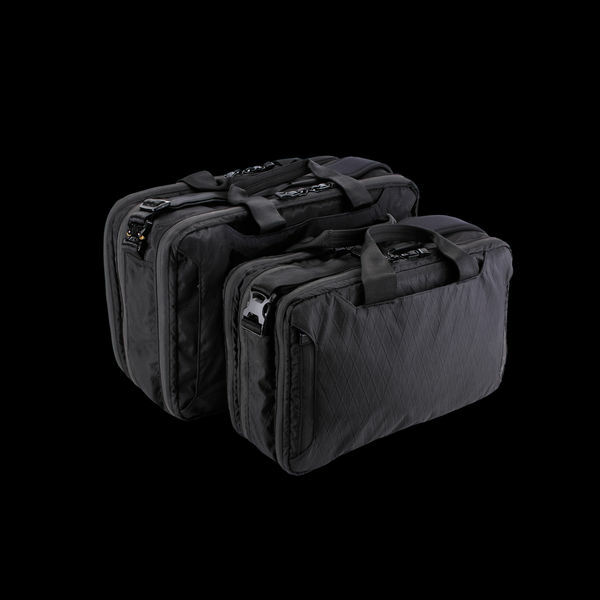 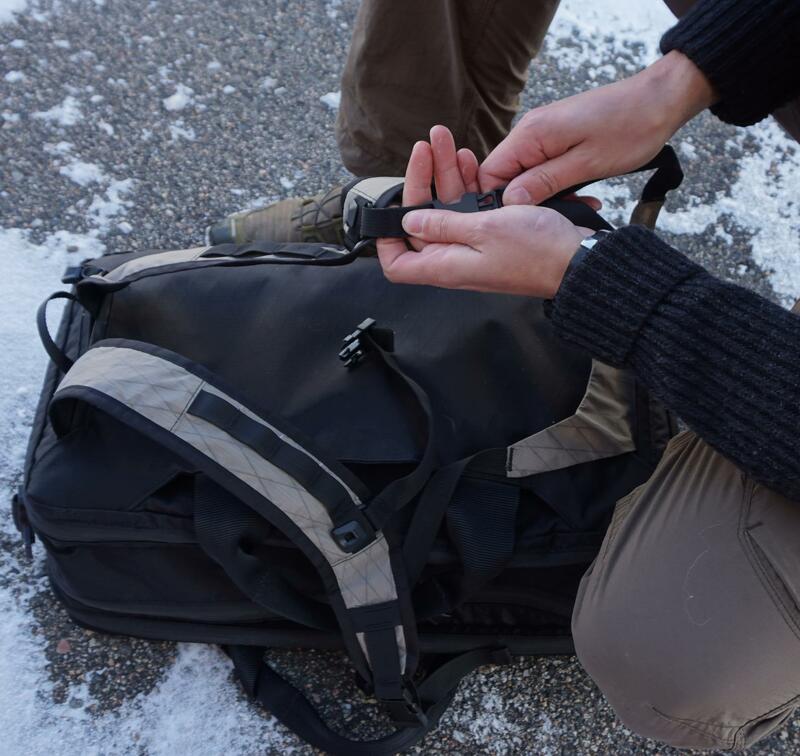 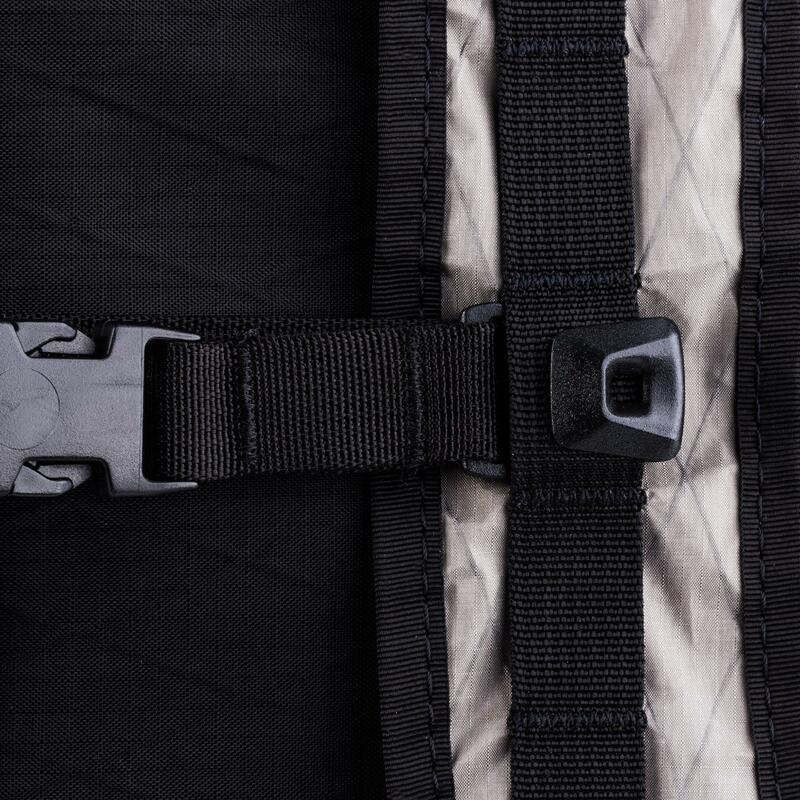 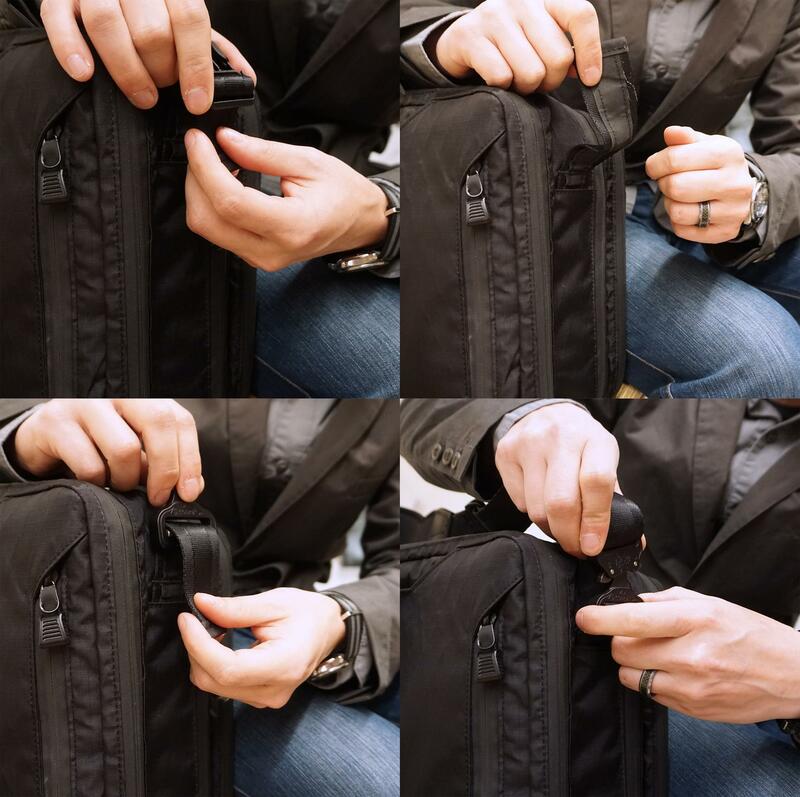 Full-width flat zippered pockets (two on the 40-liter, one on the 25-liter) let you access specific gear without opening up the main compartments. 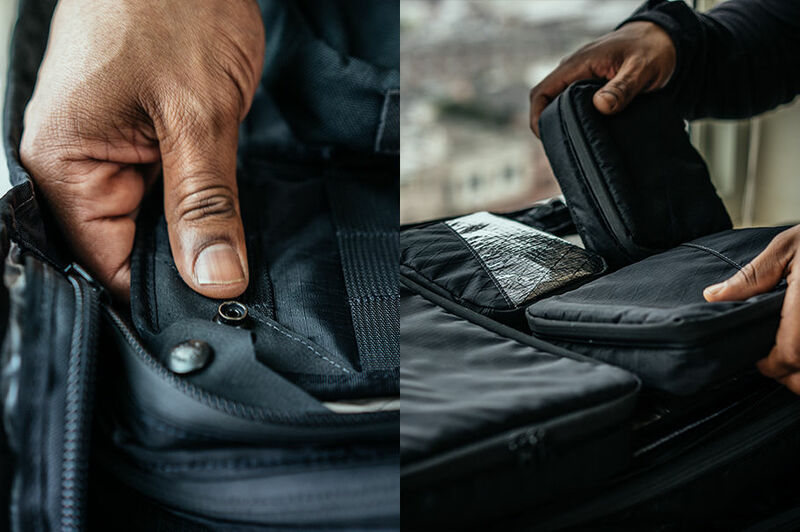 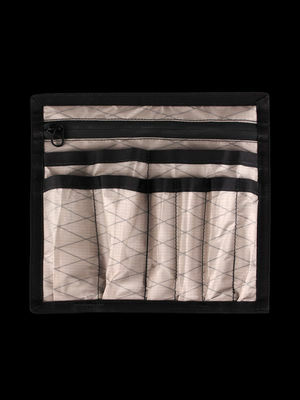 Within the next-to-body open-top pocket lies a generously sized zippered admin pocket for secure off-body storage of important documents or items. 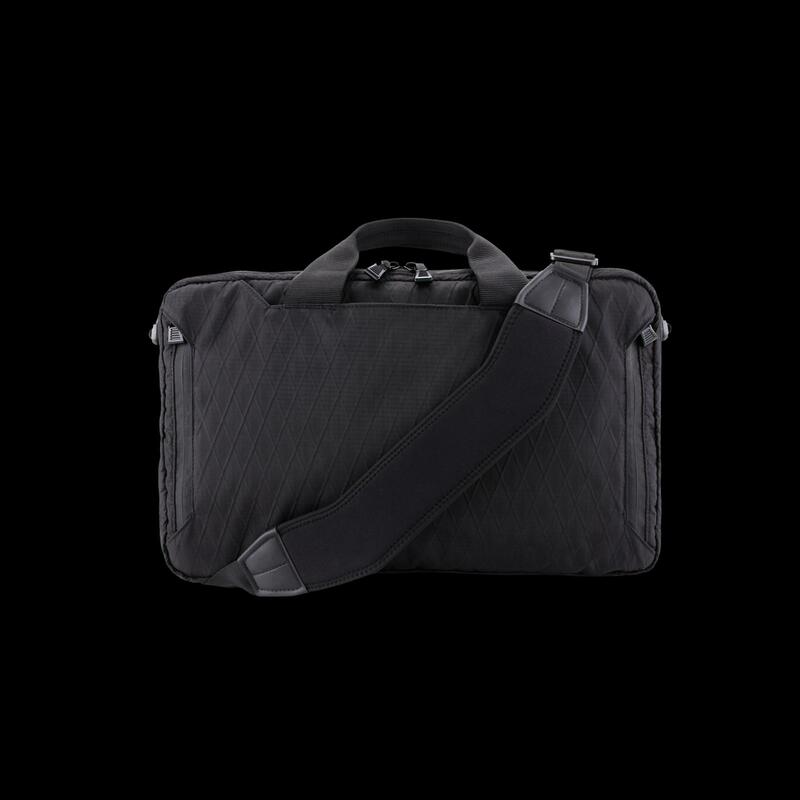 Exceptionally comfortable, the Meridian can be worn across your back or at your side for extended periods of time. 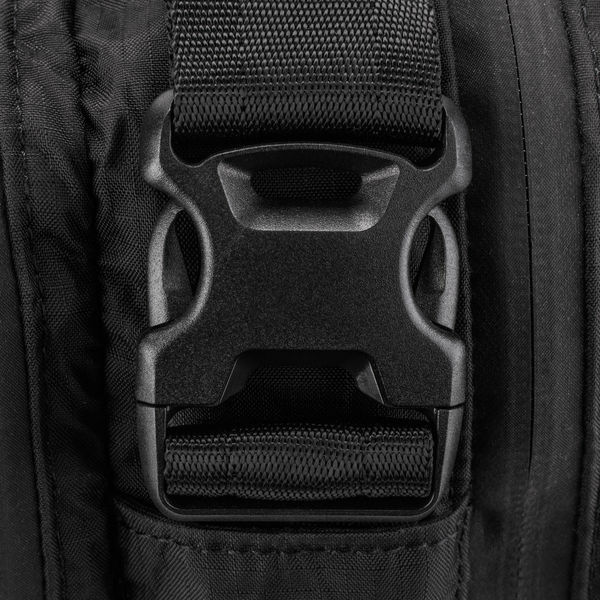 The non-slip, ergonomic shoulder strap is made using a patented process combining durable nylon webbing, flexible neoprene, and elastic. 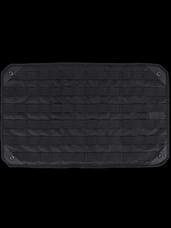 Rugged, tubular webbing runs securely from the base to form integrated, stowable carry handles for off-shoulder carry. 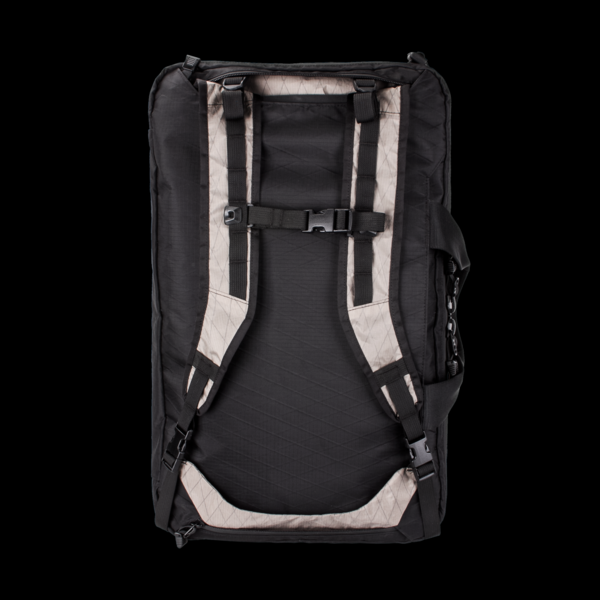 Integrated backpack straps stow away and deploy rapidly for comfortable long-term carry when you need to move fast. 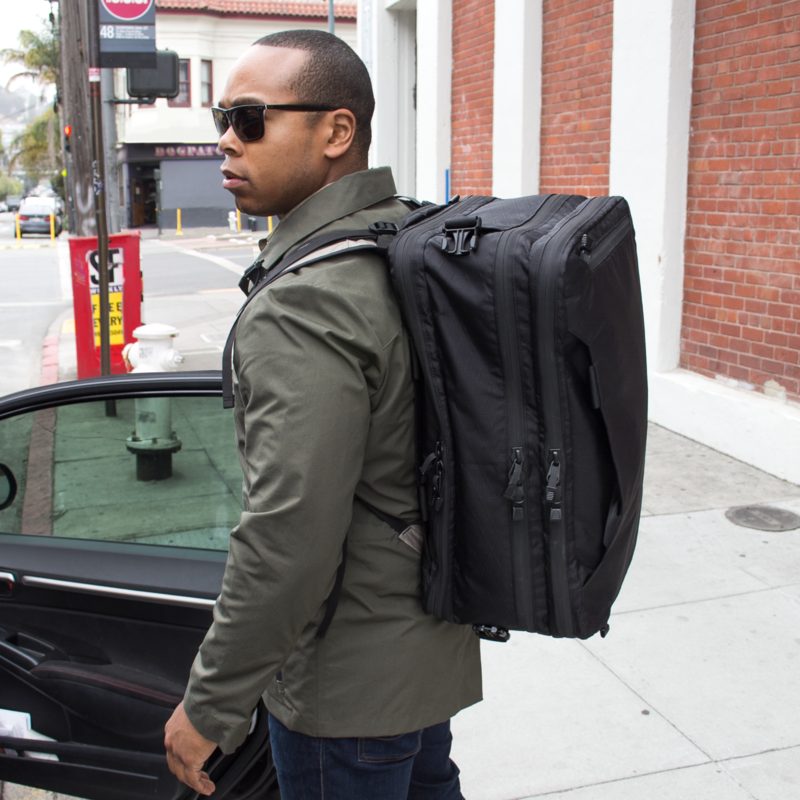 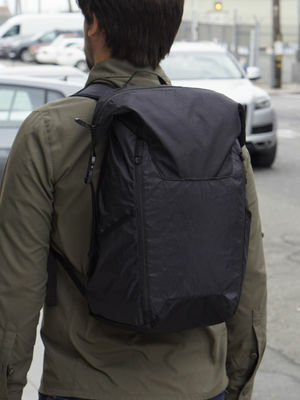 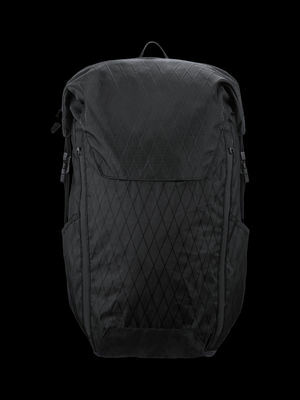 The Meridian utilizes advanced materials to create a lightweight but resilient carry system. 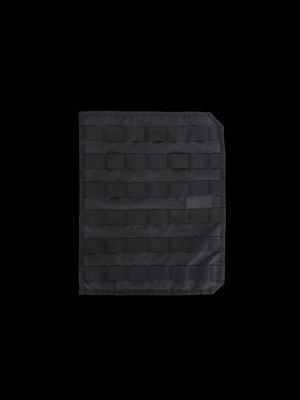 Originally developed as a high-performance sailcloth, the shell is a durable, weather-resistant ripstop nylon hydrostatically laminated with a structurally reinforcing scrim. 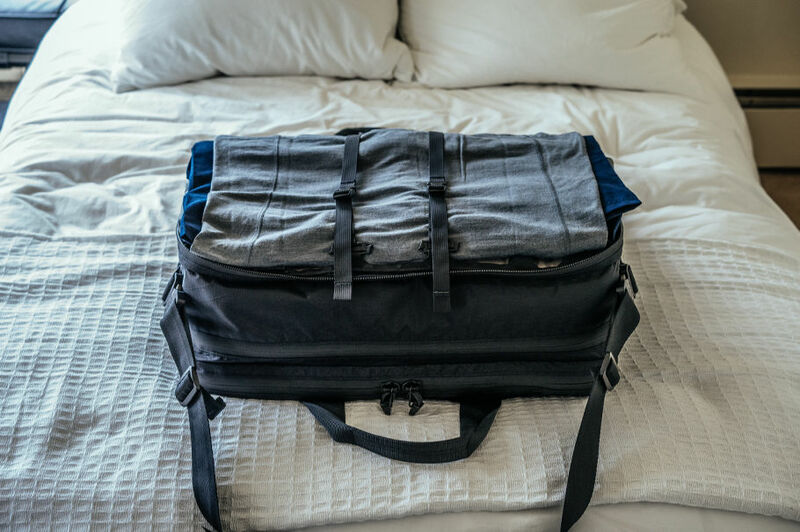 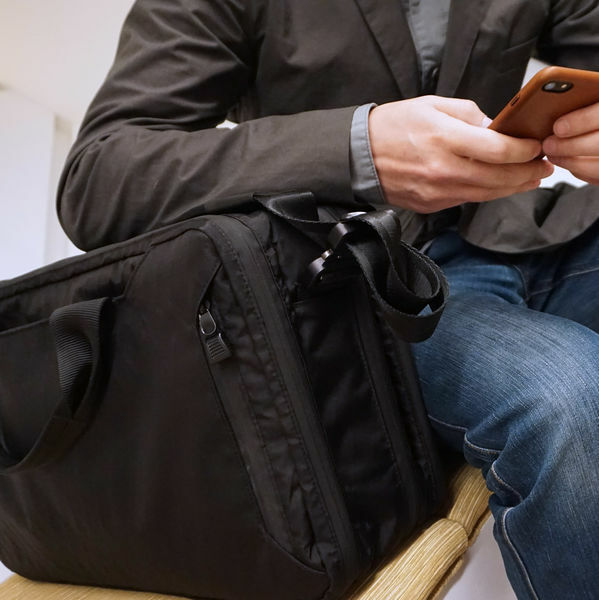 Lightly structured and available in two sizes, the Meridian fits comfortably under commercial airline seats and in overhead bins. 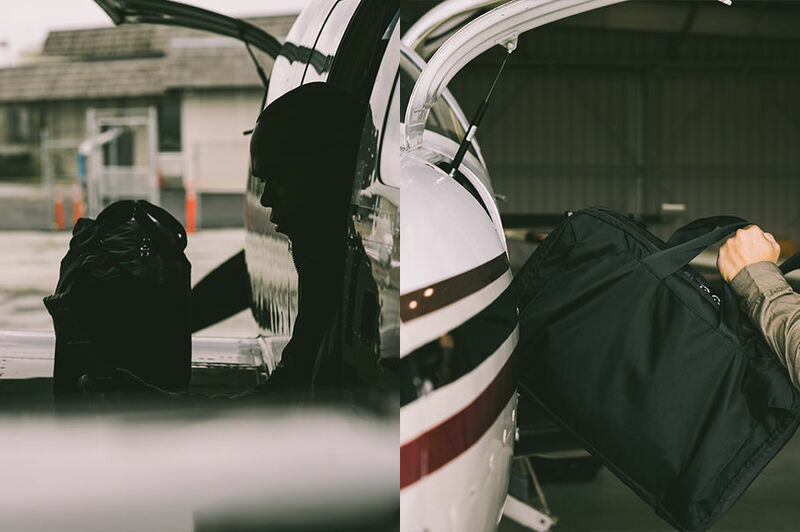 The 25-liter will fit in the smallest regional overhead bins, while the 40-liter is within the size restrictions for both domestic and international flights. 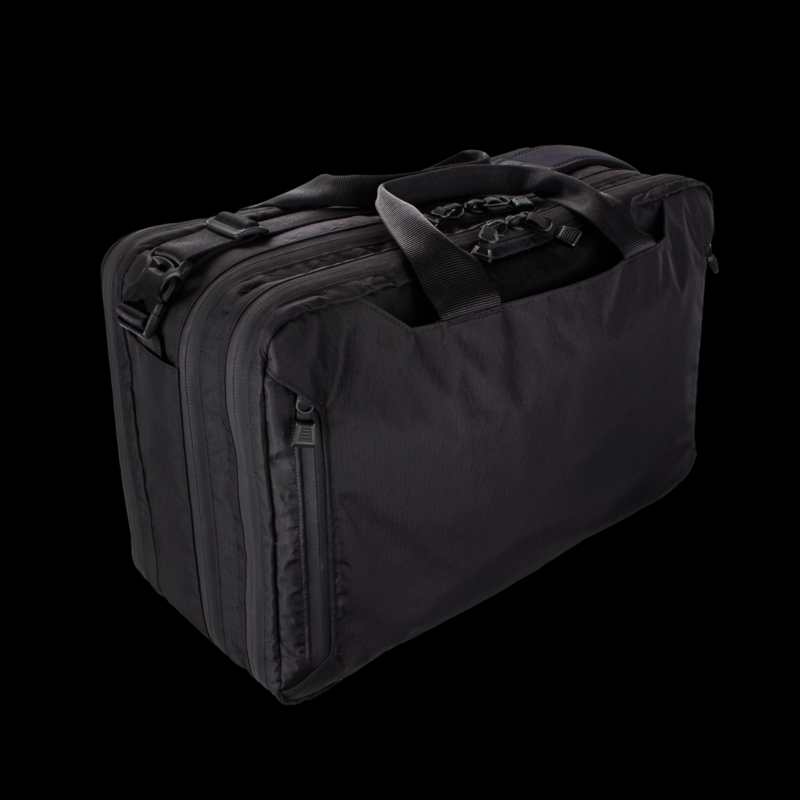 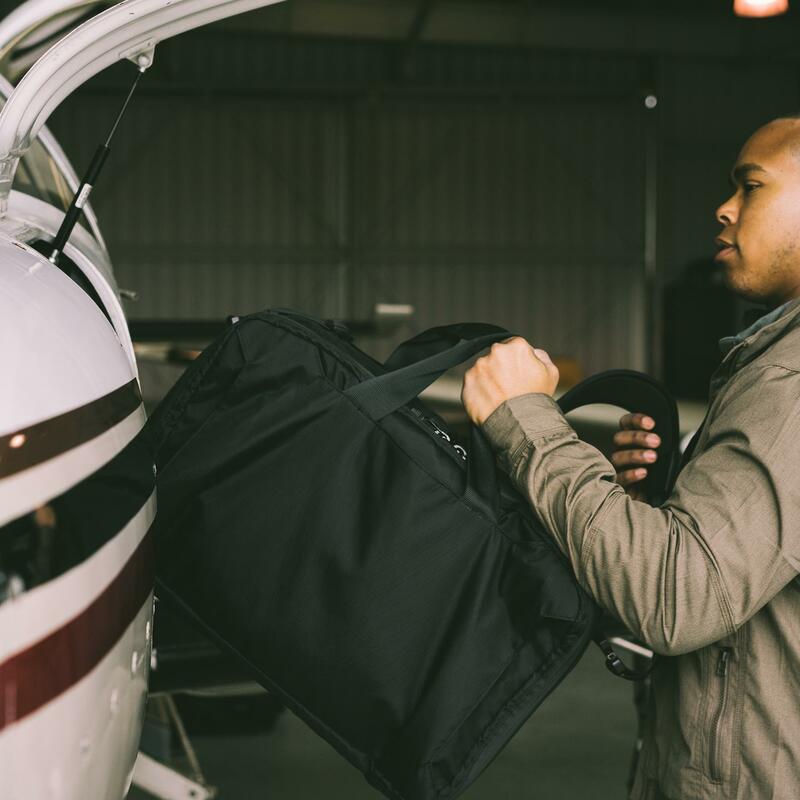 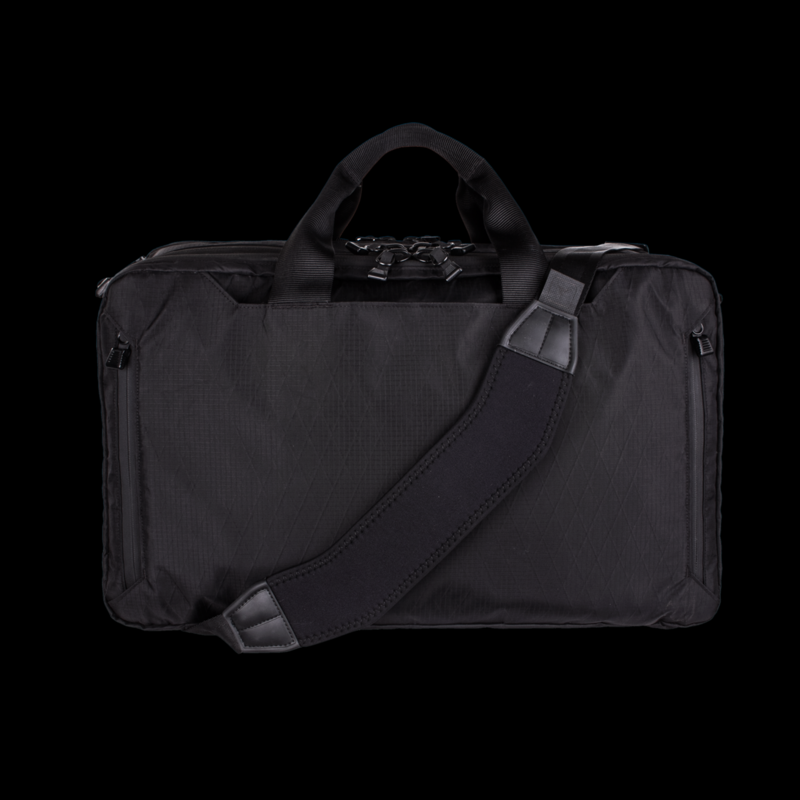 Bridging the gap between hard cases and unstructured bags, the compressible construction of the Meridian is space-efficient and protective.